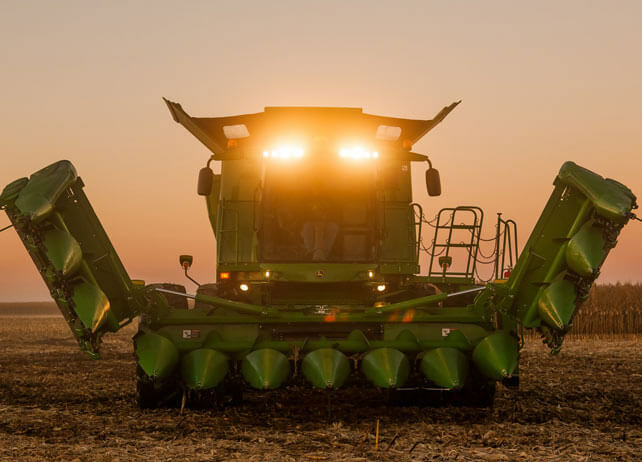 The new 12-row 612FC Folding Corn Head improves harvest readiness. As in ready to raise your acres harvested by 30 a day (vs. traditional 8-row head). And ready to fold quickly and easily from the convenience of your cab, which increases harvest performance by six acres per day (vs. traditional 12-row head). More importantly, it tackles the harshest crop. That goes for high-yielding corn, robust hybrids and tough green stalks alike.